25 misc plastic parts for adding to Warhammer figurines. There are shields, shoulder plates, arms, legs, gear, and even a bat. Looks to be unused. 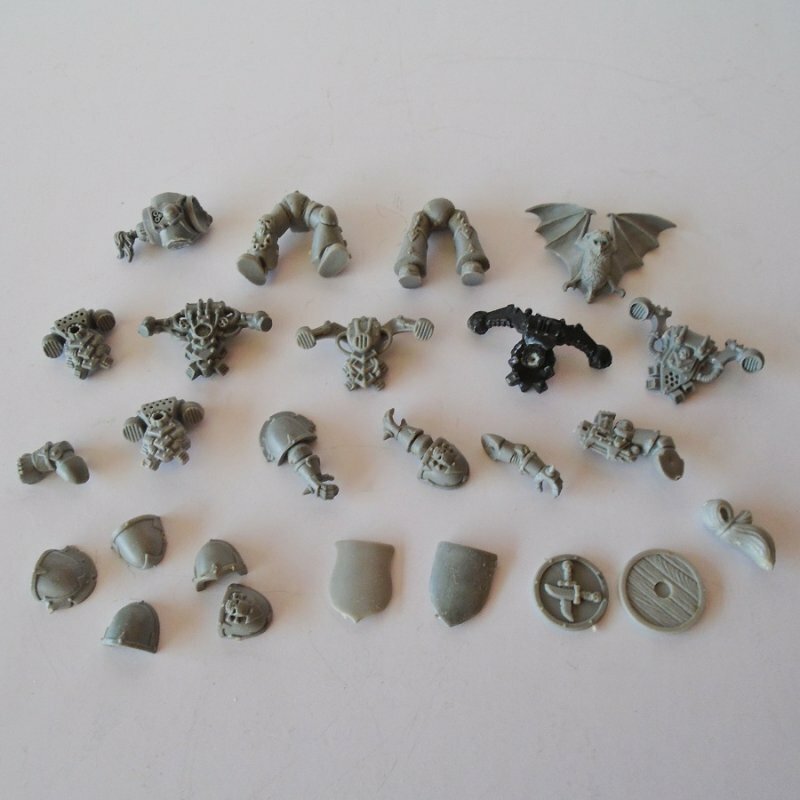 Offered in this listing are 25 miscellaneous plastic parts for adding to Warhammer figurines. As far as I can tell, none of the parts have ever been used. I don't know what all the different parts are called, but I can guess that several of them are shields, shoulder plates, arms, legs, gear, and even a bat.